5. 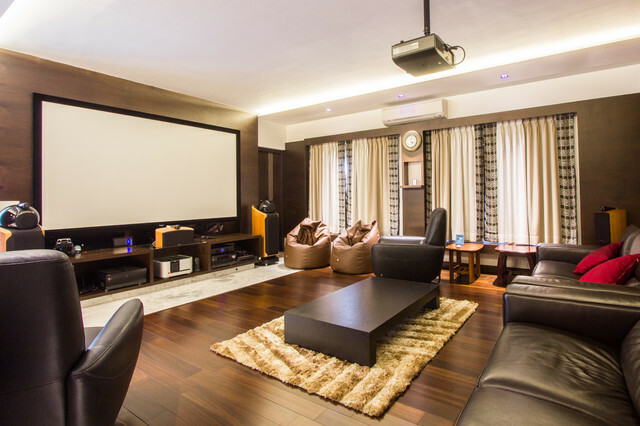 What accessories should I buy with my home theatre?Now that you have the main parts of a home theatre system, it’s time think about accessories that can enhance the experience. We will skip over the handy-refrigerator-for-your-beer kinds, and move on to more germane items that are must-haves. A universal remote, such as a Logitech One, is a handy gadget to add to the list, as it will coordinate your hardware settings for the amp/receiver, television, projector with screen, iPod and your console. Other accessories include a voltage stabiliser or UPS (uninterrupted power supply) that protects your system against power surges and outages. An important upgrade is the addition of a virtual reality or VR headset that can be used for an unmatched and immersive home theatre experience. The three that are currently available are the PlayStation VR, that works with PlayStation-4s, and the Oculus Rift and the HTC Vive, both Windows-compatible. For the PS VR, you need a PlayStation-4, and for the other two, a fast computer with VR content.